Home › News › Ideas › SEO 101: What is Search Engine Optimization, Really? Advertisements (also known as paid results) allow companies to pay Google and Bing to appear on SERPs that are relevant to their business needs. These results are generally denoted as ads, as shown in the image on the left. Organic results are links that are not marked as ads on a traditional SERP. What Are the Differences Between Organic and Paid Search Results? Paid Search listings are advertisements. Paid Search advertising, also known as Pay-Per-Click (PPC) and Search Engine Marketing (SEM), is an effective and critical digital marketing channel. A lot of work goes into creating SEM strategies, developing campaigns and optimizing results. Organic Search listings cannot be bought. Each search engine has a unique set of rules that determines which web pages will appear and in what order. Search Engine Optimization is the arm of digital marketing that tries to determine what these rules are to help their content appear at the top of these results. Google is the most popular search engine that marketers try to reverse engineer in this way. But while understanding how Google ranks web pages is important, understanding why Google ranks pages is even more so. Smart SEO professionals have learned to focus on Google’s end goal, not just its mechanical inner workings. Google’s primary objective is to answer questions that people are asking on its website. If Google delivers quality answers and information, people are likely to return for their next question or need. Web pages have two key audiences: humans and machines. We create content for humans to educate, encourage and entertain. SEO helps search engines understand who this content is for, what questions it answers and why it’s the best answer. Technical SEO helps websites communicate to search engines in their own language, ensuring that the amazing content we create for people can truly be found and understood by machines. Technical SEO does require a basic understanding of how the web works, including HTML, but you do not need to be an expert coder to be successful. SEO only works well when technology and content unite. Too much focus on technology results on flat, boring and potentially cold content. Ignoring technology means that your content may not appear in search results at the right time. There is a lot more to SEO than changing page titles and creating XML sitemaps. At the core, SEO professionals are researchers because we have to be. We’re also amazing collaborators because it helps us become better at our jobs. When SEO collaborates with other forms of digital marketing, great things happen. SEO can help brands identify how their customers are searching online. In turn, this data can inform much more than web page copy. SEO professionals can provide advertising teams with insight into their target market, the language they use, and their needs. This information results in better ad copy, more targeted messaging and, hopefully, more sales. 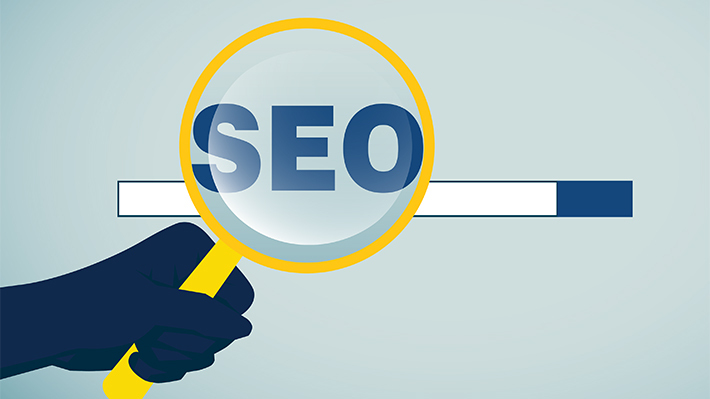 SEO can support paid search advertising in the same way, making targeted web pages more relevant to searchers. This results in campaigns that cost less and receive better engagement. In other words, what you learn through search engine optimization can translate into exciting new career opportunities you may not have considered. The discovery and exploration is what SEO is all about. Chris Countey has over 12 years of SEO experience in a variety of industries, including pharmaceuticals, consumer products, education, and e-commerce. Chris also has professional experience in Google AdWords, Google Analytics, and web development. Digital Marketing guru, Patrick Strickler, gives an introductory course on using Google Analytics to understand web traffic on your site. Recent research at Drexel LeBow shows that Internet advertising works just as well as TV commercials in building company brands. Six-month certificate program to develop and deploy successful digital marketing strategies.